Buying a home? Do Your Homework! For many young couples, buying their first home is a really big deal and it is usually the first thing on their mind after they have paid off the wedding. However, there are things that can be done ahead of time that can make the home buying process much easier and smoother. The very first thing to do is to find out what your credit score is – all credit bureaus are required to give you a free report once per year. Check carefully, and dispute any mistakes. It usually takes 30 to 60 days for any mistakes to be cleared off of your report. Thirdly, find a good real estate attorney! A good attorney will make sure that you ask all the right questions to ensure you do not have a home buying experience nightmare. 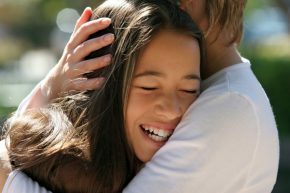 As a parent you always worry about your child – are they safe, are they doing the right thing, are their friends influencing them to do things that they shouldn’t. . . . Then, the inevitable happens – you get the phone call that your child has had a run in with local law enforcement and you are needed down at the police station! When your child has any issue with the law, no matter what type, it is a big deal! If it is not handled properly, they can end up with things on their permanent record that will have an effect on their entire lives. Find your lawyer BEFORE you find your house! When it comes to residential real estate it’s all too easy to get caught up in looking for just the right house, fall in love with a new home and begin the sales process, all before thinking about a real estate attorney. 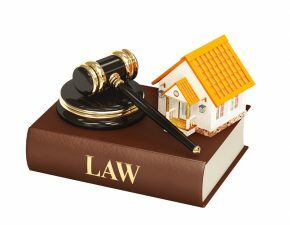 However, by selecting a real estate attorney first, home buyers can save themselves much frustration and in some cases, even save time and money. The job of the real estate attorney is to make certain the potential home buyer is well informed about the sales process and that they have asked all the right questions before making a commitment on a property. The real estate sales process is quite complex and if certain details are overlooked it can become a costly and time consuming effort to try and correct mistakes and oversights after the fact. The key to ensure the smooth running of “operation find a home” is to make sure you select your real estate attorney first! Estate planning may seem like something that only multi-millionaires should do – however, it is important for everyone. Simply making a will is not enough. 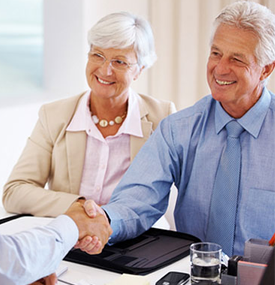 Estate planning looks at every aspect of your life, business and assets. We help you carefully craft an estate plan that will take into consideration all of these aspects. It is very difficult for a lay person to try and ‘do it yourself’ without the legal knowledge and experience. A carefully constructed estate plan should be viewed as an investment in the future. If it is not done correctly, there can be negative tax ramifications as well as fractured family relationships. At Lanza Law Firm we help you consider all aspects of estate planning so that you can create a legacy for the next generation of your family.